Are you an experienced teacher with plenty of knowledge to share? Perhaps you’ve thought about earning some extra cash by selling courses online? Just several years ago such an idea would’ve seemed like science fiction, as it wasn’t easy to create and advertise your courses, let alone getting people to bite. Nowadays, there are so many different LMS (learning management system) platforms. Setting up your own course online has become much simpler and more accessible to everyone, even those with little to no experience at all. One of the most commonly used options comes in the form of a WordPress plugin. In this WP Courseware review I’ll take a closer look at one of the most popular WordPress LMS plugins to see whether it measures up to the buzz it’s been generating lately. 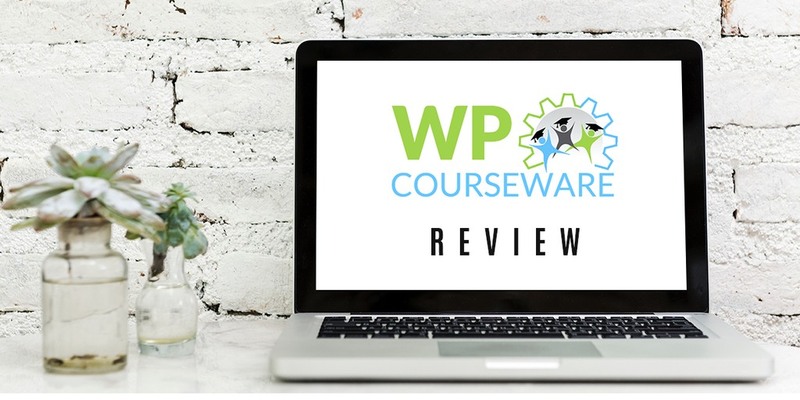 WP Courseware, as its name might imply, is a plugin for the WordPress platform that allows its users to create and manage online courses, so it is quite a handy tool. It was developed by Fly Plugins, a company known for its various plugins for businesses that rely on the WordPress platform. Even though it is designed as a fully integrated learning management system, it can’t really rival the standalone giants such as Moodle or Blackboard. It can handle quite a lot but it is best used for moderate-sized e-learning platforms. WP Courseware is very intuitive and easy to use, and even if you don’t have any experience with learning management systems, you will find it quite easy to design and set up your own courses. How Does WP Courseware Work? To show you how WP Courseware works, I’ll go through the key features one and by one and look at how they are organised inside the system. Once you activate the plugin, you will actually have just two visible additions to your usual WordPress dashboard – Course Units and Training Courses. Course Units is where you can add new course units or simply view the ones you’ve made earlier. Training Courses gives you a little insight into all the bells and whistles of the WP Courseware plugin. Quiz: an additional piece of content. The whole system is based on a simple drag and drop interface which is very handy when it comes to ordering and reordering any of the elements that you want to include in your courses. In order to do so you need to click on “My training courses,” and once you’re there you need to select a course you want to work on and then click the “Actions” button for that given course. When you’re there, you can simply click, move, and release to move any of the content around. Keep in mind that any Quizzes or Units that are not assigned to a specific course cannot be sorted this way. Creating your own Course is simple with WP Courseware. Go to your WordPress dashboard and click “Training Courses”. Once the course development page has opened, add a Course Title and a Course Description – these fields are required. Decide whether the students will be able to see all modules, or whether they will be revealed as they move through the course. Once you save all the details, you can access the Course by clicking on “Training Course” on your WordPress dashboard. The accessibility of all Courses can be set to manual or automatic. The manual option gives you more flexibility when it comes to the availability of the Courses to individual students. The next level of the WP Courseware hierarchy is Modules. You can easily create an unassigned Module simply by clicking on “Training Courses” and then choosing the “Add Module” option from the dropdown menu. If you want to add a Module to any of your previously created courses, just go to “My Training Courses” and then repeat the same process for the given course. When you create Modules you will be required to include titles, descriptions and indicate which Course the Modules are associated with. Course Units are the nitty-gritty of your Course. They are custom posts which you can add to virtually any type of content to create different chapters or lessons. The page for editing Course Units looks like a much simplified version of the text editor in WordPress, so there are no vast amounts of options for customisation. However, you can convert any previously created page into one of your Course Units. What I really liked is the option to make your own design templates for Course Units and save them for future use. You can even make adjustments in the CSS code if you like. Quizzes are probably the main selling point of this plugin. Through a very unique approach you will be in charge of drip feeding any content you want and manage the progression of any of your online courses. Quizzes help you identify how well a student is doing in any of your Courses that they might be following. Once you start creating a Quiz, you are required to give it a title, but adding a description is optional. Further down the page you will find that there are three different types of quizzes available, and of course, you need to select one of those for each new Quiz. The first option is the Survey Mode, which is only meant to collect information, so there are no correct answers to be given. This is useful when you need valuable feedback from your students, especially after they complete one of your online courses. Blocking Quiz Mode is used when you need your students to provide correct answers to any of the questions before they can proceed further. You can also define a minimum pass mark which has to be achieved before a student can proceed to the next course unit. The third option is a Non-Blocking Quiz Mode where each student must answer a certain number of questions before they can proceed further. As the name suggests, the students don’t have to reach a pre-defined minimum pass mark in order to progress to the next course unit. When you’re done here, there are further options such as “Result Settings” or “Manage Questions” for you to add the actual questions and make further adjustments. The types of questions include True/False, Open Ended, and Multiple Choice, and you can even Upload Files for use as answer reference. For grading you simply access the Gradebook from the list of available actions, and you can send reports in the form of a CSV file to your students. You can also enjoy a detailed user progress report for each and every student. If these aren’t enough, keep in mind that WP Courseware can be integrated with over a hundred different WordPress extensions. Unfortunately, WP Courseware doesn’t feature a free plan. There are three different plans, and the biggest difference between them is the number of licensed sites you get. You need to pay for one full year in advance, and each plan includes email support and all the usual upgrades. Teacher: This is the most affordable plan. For $99 per year, it gives you a license for two sites. Professor: This gives you the right to own and run 10 licensed sites for $125 per year. Guru: Includes licenses for 25 sites, and it costs $175 for the first year. If you renew your yearly plan at the end of the current one, you will receive a 30% discount for the next one. The pricing is also affected by the vast number of integrations that are available (108 of them). Each of the integrations gives you additional functionalities at an extra fee. There is a Starter Package for integrations, which gives you a 30% discount for all the integrations that purchase separately. For example, you can choose Freshbooks for your accounting, BuddyPress for building a community, and perhaps Slack for taking care of course notifications and other automated processes. 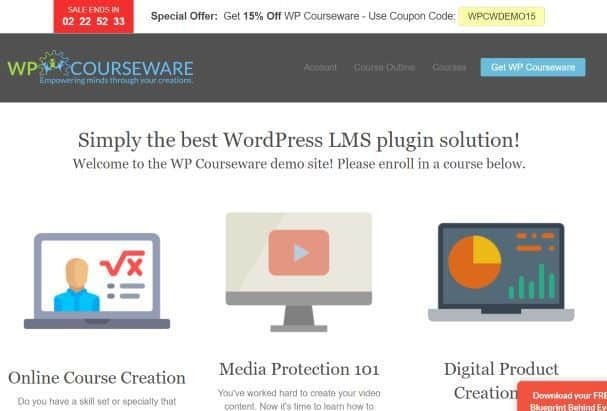 If you have your own WordPress website and are looking for a plugin that will enable you to create professional online courses with lots of handy features, you really shouldn’t look any further. The plugin offers a plethora of customization options and easily adapts to your learning goals and teaching style. The platform is very intuitive and easy to use, while a large choice of different integrations provides you with additional goodies, such as marketing, community engagement, accounting, and all sorts of payment options. All things considered, this is an attractively priced learning management system that any reputable teacher is going to love.